eSwara.com LLC brings the perfect mix of product design, ergonomics industrial design and electronics to completely redesign musical instruments/aids for Indian Classical Music. 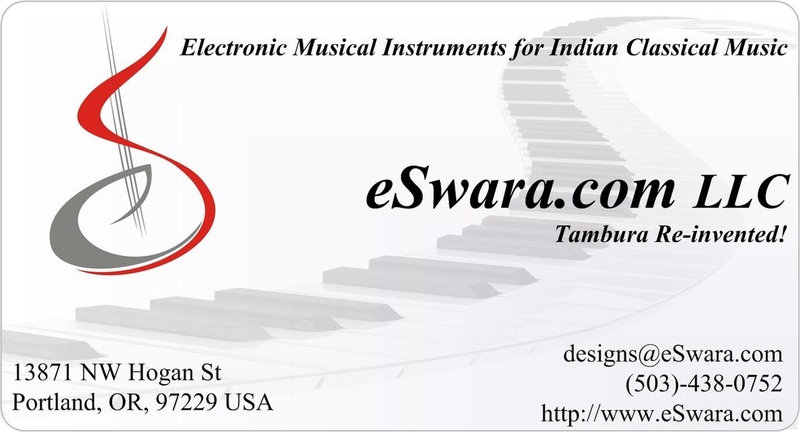 eSwara.com presents the Swara line of instruments for music instruction, practice and performance. More exciting models are on the way in the coming months. Worldwide Customers - purchase online and get US based warranty and support. Indian Customers - please contact Manaswini Technologies for sales and support.